Just like building mental strength in any area of your life, being a mentally strong parent is all about regulating your emotions, managing your thoughts, and behaving productively—even when you feel like your child's behavior is going to drive you crazy. When it comes to building mental strength, bad habits can hold you back from reaching your full potential. Even worse, engaging in these unhealthy habits can also interfere with your child's ability to be mentally strong. Here are the 13 things mentally strong parents don’t do. Mentally strong parents don’t fall into the trap of thinking, “My child is trying to punish me,” or “It’s not fair my kids don’t behave.” They know that feeling sorry for themselves will only delay addressing the problem. They proactively solve problems—whether they're dealing with behavior issues or financial troubles—without wasting time demanding they deserve better. You won’t hear a mentally strong parent say things like, “My child annoys me,” or “He makes me so mad.” Instead of blaming their child, they retain their personal power and accept full responsibility for their emotions and behavior. They recognize that each time they engage in a power struggle or lose their temper, they’re giving their child more power. As kids grow and develop, their behavior and attitude—along with the parent/child relationship—constantly changes. Mentally strong parents accept those changes and they’re willing to constantly adjust their parenting strategies accordingly. Mentally strong parents focus on influencing—rather than controlling—their children. You can give a child the skills and tools necessary to help him be a good student, but you can’t force him to get good grades. You can provide consequences that make following the rules more appealing, but you can’t control the choices your child makes. Mentally strong parents spend time calculating the actual risks children face. They know a 14-year-old who refuses to wear a jacket in cool weather faces much less actual danger than when he’s on the football field and they pick their battles accordingly. They work hard to balance their child’s need for independence with safety. Mentally strong parents make peace with their childhoods. They don’t try to make up for a tough upbringing by overindulging their children and they don’t purposely do the opposite of everything their parents did just to prove a point. Instead of focusing on their past, they work hard to be the best parent they can be today. All parents make mistakes, but mentally strong parents learn from their blunders. 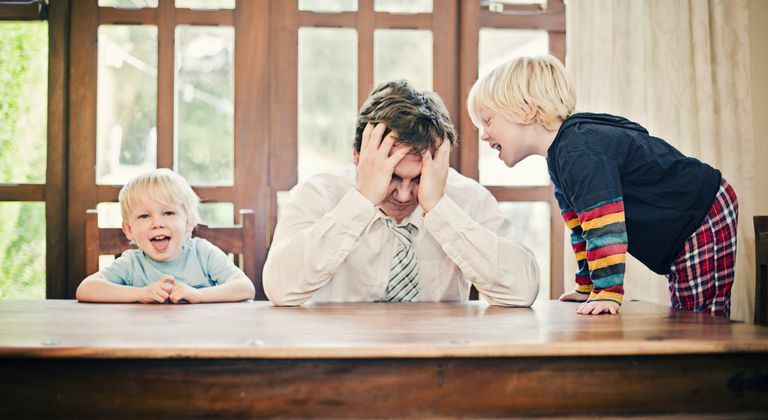 When they’re too tough on their children or they lose their cool, they view their shortcomings as an opportunities to sharpen their skills so they can do better next time. Mentally strong parents don’t compare themselves and their children to the families around them. They don’t wish their kids could be more athletic like the neighbor’s kids or smarter like their cousin’s kids. Instead, they devote their energy to helping their children reach their full potential. Parenting is often about trial and error and when mentally strong parents experience a failure, they resolve to try again. If their child refuses to do chores today, they don’t decide he's destined to be lazy. Similarly, if a new discipline strategy leads to a colossal meltdown, they don’t resign themselves to a life filled with temper tantrums. Instead, they keep teaching new skills and instilling their values to help their children become better. Mentally strong parents recognize the importance of scheduling time for themselves to recharge their batteries. They know becoming a better person will help them become a better parent. They’re willing to occasionally step out of their parenting role to address their personal self-growth. Mentally strong parents don’t think the universe owes them perfectly-behaved children who step out of the womb with the knowledge and skills they need to become responsible adults. Instead, they recognize that although raising children is a tough job, it’s also a privilege that they’re fortunate to have. Mentally strong parents understand that behavior problems don’t change overnight. Often, repetition is the key to helping a child learn and they're willing to provide opportunities for a child to practice changing his behavior.